How Do You Know It's Time to Switch Marketing Solutions? How Do You Know It’s Time to Switch Marketing Solutions? Most enterprises find a marketing automation tool that works for them and stick with it for some time. There are infrequent instances, however, where an organization needs to swap their solution out for a new one. The question remains, though, when do you know if or when you need to swap out your current vendor for one more befitting of your updated needs. If your team is currently experiencing any of the symptoms described below, it may be time to consult your CMO about a new vendor. The first sign that you may need a new solution is a fairly obvious one: your efforts are getting less and less effective over time. If you find that you’re turning over fewer leads, it may be about that time. Granted, this sign may not be as cut and dry as some other signs. Your diminishing returns could be the result of any number of factors, not just your solution’s effectiveness, but it’s still worth noting. Before you make any decisions, you need to collectively determine that your solution is at fault and not your overall marketing strategy. Another sign that it’s time to change things up? Your marketing team and/or organization at large have grown/shrunk substantially since you started that solution. Not every product is suited to all levels of business. If your company has seen large growth or downsizing in the time since you’ve adopted your current vendor, it may no longer be the best option for you. In that instance, rather than swap vendors wholesale, it may be more prudent to upsize or downsize your current system accordingly, if possible. Several vendors offer tier packages to cater clients from SMBs to enterprise-level titans. Contact your provider and see what your options are. What if you’ve seen a lot of employee turnover since you’ve adopted your last solution? A lot of new faces on the marketing team can bring a lot of fresh ideas and creativity but may also require some changes to the way things work to get the most out of that new energy. That may require a change in solution to be more conducive with your young blood. This may not necessarily be the case, but it’s an avenue to consider if this is the situation you find yourself in. The final indicator that it may be time to swap solutions is a lack of updates from the provider. If your vendor isn’t updating their product in a timely or constructive manner, why stay with them? You can’t market effectively with outdated software. If your solution isn’t up to snuff as a result of the provider behind it, it’s time to look elsewhere for someone that will step up to the plate. Any marketer worth their salt will attest that timing is everything. The long and short of it is that knowing when to change vendors can be just as important as actually making the switch. It can save you a whole lot of time and aggravation in the long haul. 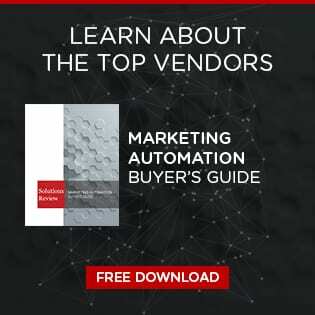 If you’re in one such position where you’re considering a new vendor, we have a free, comprehensive buyer’s guide to help you make the next step for your marketing team.